A former AT&T employee has filed a racial lawsuit against a key player in the pending merger between AT&T and DirecTV. 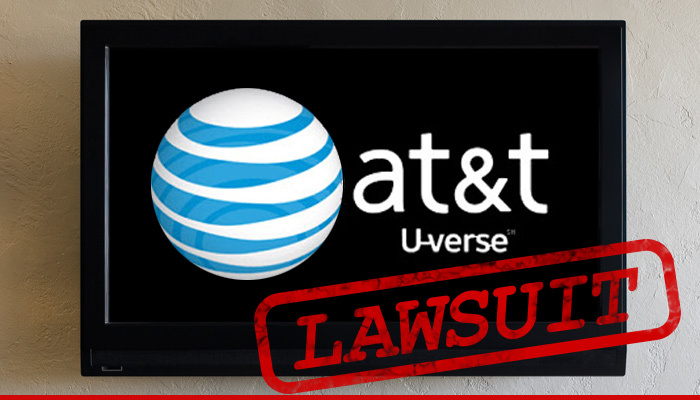 Aaron Slator, President of Content and Ad Sales for AT&T, as well as the head of U-verse, is being sued by a former 30 year employee of his company ... claiming he has it out for African Americans and is using an alleged text message to prove it. Knoyme King claims she worked under Slator as Content Coordinator. She claims Slator's former assistant was transferring data from his old cellphone to a new one when she came across a text to one of Slator's friends that allegedly had a picture of an African child with the caption, "It's Friday N****s." Slator allegedly sent it to a friend with the message, "Oldie but goodie." She's suing for $100 million, claiming racial discrimination. AT&T was sued recently for allegedly discriminating against African American run media companies. One of the driving forces behind that suit is Byron Allen, who produces a slew of programming for the African American community. The suit seeks $10 billion in damages. As for King's lawsuit ... an AT&T spokesperson says the images "are offensive to everyone at AT&T" ... and the company doesn't "tolerate discrimination of any type by any employee." The spokesperson added that ... as with all cases when "an employee is accused of discrimination of any sort, we conduct a thorough investigation and take disciplinary action as appropriate." We've also reached out to Slator. So far, no comment. 'Frozen' -- Kuwaiti Woman Sues Disney ... I Want a Piece of Ice!